On Friday, 11 March 2016, we officially launched Education Matters with an affirming event in the garden of our offices. We were pleased to have representatives of corporate partners and educational organizations, local school administrators, sports directors and career counselors, USAP alumni and friends and family join us for the launch. Education Matters Finance Manager Chiedza Gadzirayi was an able Mistress of Ceremonies. Director Rebecca Zeigler Mano explained the history and mission of the organization while Programs Manager Chenjerai Katanda detailed the current and some potential future programs. Nikki Finnemann, Deputy Public Affairs Officer at the U.S. Embassy spoke on the importance of working with young people in innovative ways, and the support of the Embassy for Education Matters and our mission. USAP Alumni Dr. Cathrine Ziyomo, a true testament to the power of education, related her own story of growing up in Mbare through to earning a PhD in Crop Genetics from the University of Minnesota and coming home to Zimbabwe to work as a plant breeder. Fungayi Mandiveyi, Executive Director of the Higher Life Foundation rounded off the program by explaining the importance for the development of Zimbabwe of supporting the education of low-income, high achieving students. He reasserted HLF’s support of and partnership with Education Matters. 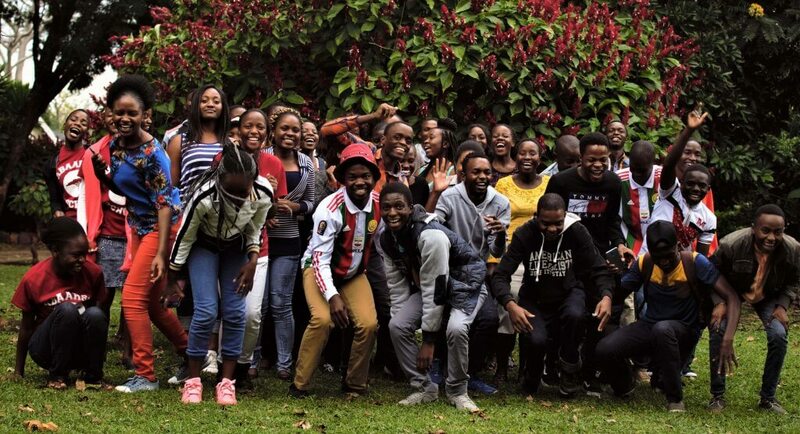 Enjoying food and drink in our beautiful garden, we shared ideas and ways we could all work together to help Zimbabwe’s young talent meet opportunity. We are launched. May the work of changing lives begin.